It can be easy to miss the early stages of hearing impairment. While damage due to working in noisy environments may be easy to predict, it can also occur as a result of injury, illness, listening to music, and as a side effect of certain common medications. 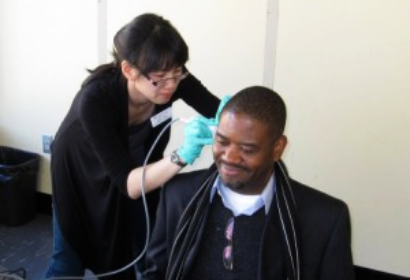 Twice a year, the School of Communication Sciences and Disorders hosts free on-campus hearing screening tests to diagnose impairment early and prevent more serious issues from occurring. Students also provide information about audiology, hearing loss and preventative measures for noise-induced hearing loss. Screenings include tests of ear canal and middle ear function and an evaluation of sensitivity to sound variations, intensities, and thresholds. For more information, see the School of Communication Sciences and Disorders website. A project of McGill University.